Battery 25 is an easy bike ride to the Beach! 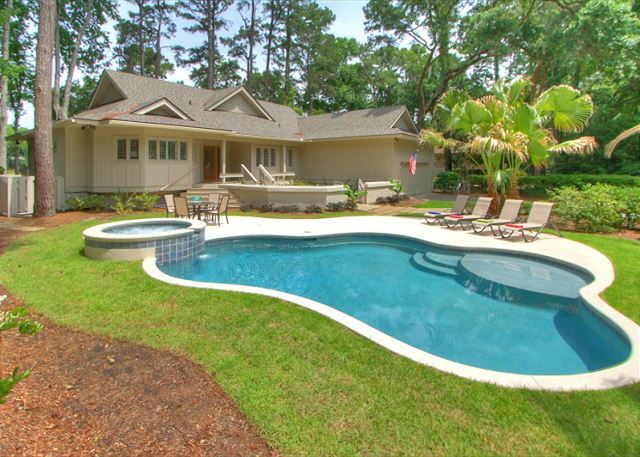 This single story, newly renovated home with 4 Bedrooms and 2 Living Areas features a spacious Rear Deck offering elevated Tee-to-Green gallery views of the Par 5, 5th Hole on Harbour Town Golf Links, plus a Private Pool & Spa. Bike easily to the Beach! FREE WIFI is also offered. This home has been professionally renovated and decorated inside and out - including a newly constructed and landscaped luxury Pool and Spa. 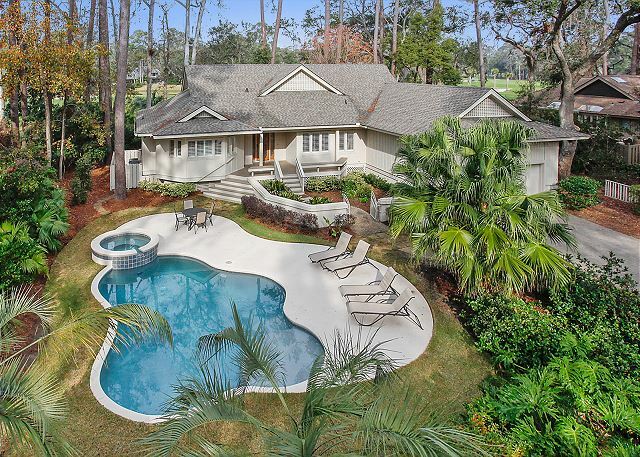 Overlooking the 5th Fairway of the Harbour Town Golf Links, this 4 bedroom home features 2 Living Areas with vaulted ceilings and large windows offering expansive views of the golf course. 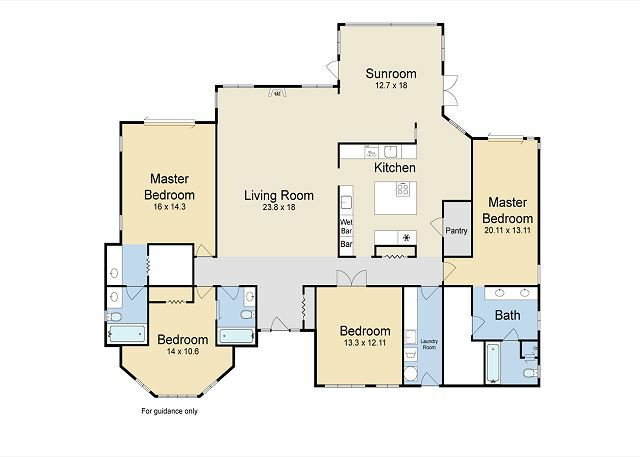 Ideal for families or couples, this home offers 4 Bedrooms and 3 1/2 Baths. 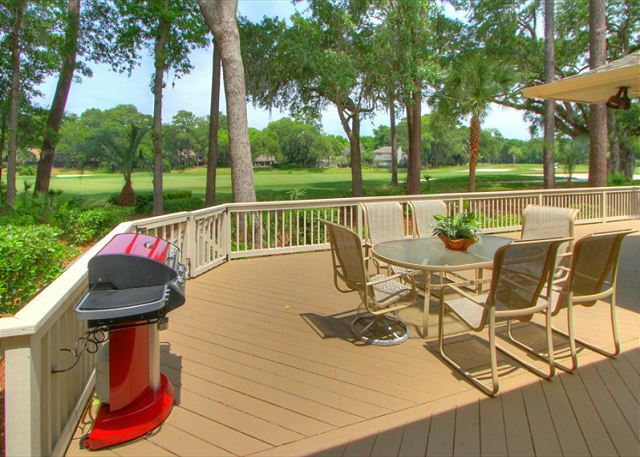 Exterior features include a huge Back Deck with multiple seating & dining areas offering an elevated panoramic view of the Par 5, 5th hole of Harbour Town Golf Links. 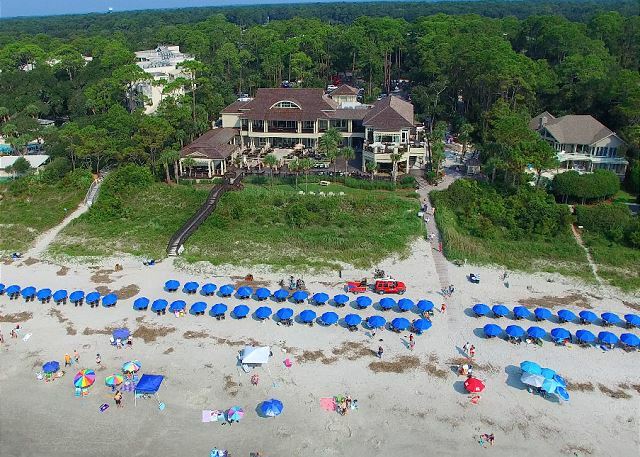 Guests of 25 Battery can bike easily to the Beach, Bike to Sea Pines Beach Club or choose to spend the day at the Private Pool. GPS- 25 BATTERY ROAD Turn RIGHT onto Arrow Rd. & proceed to the Traffic Light. Turn LEFT at the Light & proceed in the Right Hand Lane onto Greenwood Dr & thru the Sea Pines Security Gate. Continue on Greenwood Dr. to the Frasier Circle take the 2nd turn off toward South Beach. Turn RIGHT onto Old Military & then RIGHT onto Battery Road. The home will be on the LEFT.